On February 17, 2012, QVC unveils a new way to boost your beauty inside and out: io BEAUTY, a synchronized topical and ingestible skincare regimen designed to deliver comprehensive beauty benefits. Developed by renowned beauty expert Sue Devitt and leading nutritionist Tanya Zuckerbrot — top experts in outer and inner beauty, respectively — io BEAUTY launching on QVC, bringing a new dimension to the multi-channel retailer’s renowned range of beauty offerings. One (1) lucky reader will have a chance to win a FREE Beauty Booster. To participate, you will have to tune in to watch iO Beauty's debut on QVC (10PM on the Lisa Robertson Show) and ANSWER the following 5 questions on the blog comment below. You must answer all questions correctly to be in the random draw. Chosen winner will be selected via Random.org and is open to US & Canadian residents (Entries close on February 18, 2012 at 11:59pm EST). Winner will have 48 hours to respond to claim their prize. 1. What does I/O stand for? 2. For topical application to the skin, what other IO Beauty product would you mix the booster with? 3. 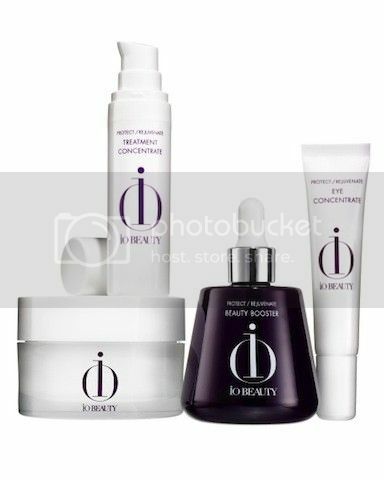 What type of special “delivery system” is used in IO Beauty? 4. What are 2 of the active ingredients (any 2)? 5. How many ORAC units (the scientific measure of anitoxidants) does the IO Beauty Booster deliver? Please answer the all of the above questions in one comment. Don't forget to leave your email so I can contact you if you win.